The personalized autograph I received when I was 13 after writing John religiously. Hello, my name is Sandy, and I’m a Travoltaholic. The problem started when I was about 3-years-old and I was first shown the 1978 musical classic, “Grease”. I’ll admit the first time I saw it, I cried. Not for the reasons you think. They weren’t happy tears! Everyone in the room was singing to me and I was incredibly embarrassed. I declared I hated “Grease” right then and there. 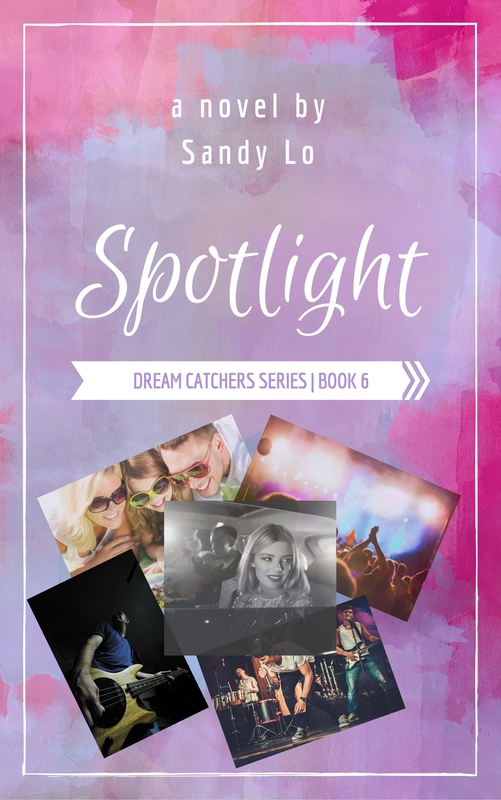 The memories are fuzzy from that age so I don’t know how I went from “hating” that movie to falling in love with it… and the film’s leading man, Danny Zuko, but by 4-years-old I had found my first love. “Grease” was the only word for me and I watched the movie every.single.day. But the love of Danny and Sandy wasn’t the end of it for me. There I am…and there’s John and Kelly! In the summer time, I’d force myself to stay awake for Nick at Nite’s block party showing of “Welcome Back, Kotter”. I’d check the T.V. Guide regularly for Travolta appearances — yes, we actually had books mailed to us that told us what would be on television back then! infatuated with. John had always been described as one of the nicest guys in Hollywood, and I read every biography written to learn more. 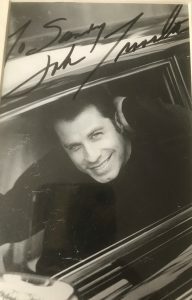 In junior high, while girls my age had Jonathan Taylor Thomas posters on their wall, I had a John Travolta autograph on mine–one I had received from writing him countless letters like we had been old friends. It was a bit odd for someone my age, and not my mother’s, to idolize Vinnie Barbarino–a 1970’s icon while I grew up in the ’90s. Often times, idols, especially teen idols, fill a void and/or bring hope to someone’s life. For me, I wanted to believe great men existed. Good husbands and fathers, who weren’t afraid to be vulnerable or compassionate. Growing up, I was exposed to uncontrollable tempers, adulterers, and abusers. John always seemed like such a devoted husband, father, and friend. He instilled faith in me that there were more like him out there. 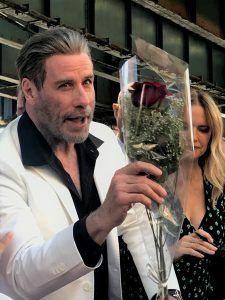 When I found out John would be in Bensonhurst, Brooklyn to be honored outside of Lenny’s Pizza (where the opening scene of “Saturday Night Fever” took place), I knew this was my chance to see a living legend. I have met many celebrities as a journalist, but the idea of meeting John was different. I wasn’t sure if I’d be able to talk, so I played out different scenarios in my head. There was one where I cried and asked for a hug. Or one where I stuttered through telling him my name is “Sandy” and him breaking out into song for me. Or a scenario where I tell him he was my first crush and we take a picture together. 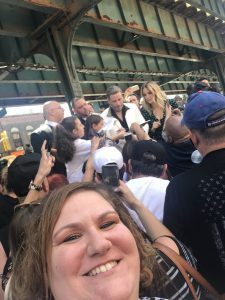 However, when I arrived on the D train over 86th Street and heard the loud disco music from below, I knew this event was bigger than I thought it would be. I mean, why would I think it would be kept quiet and small? It’s John Tra-freaking-volta!!! The block was filled with people. Barricades were everywhere. And hiding out in Lenny’s Pizza, hoping Johnny would pop in there wasn’t an option. Lenny’s kicked everyone onto the street and locked the doors. 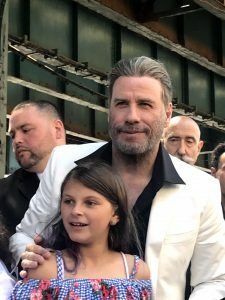 Fans with giant Travolta heads on sticks were walking around along with an impersonator, and various Gotti family members and mob movie actors. 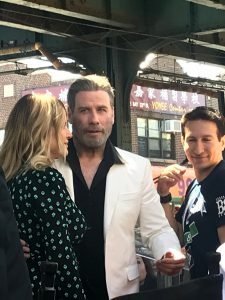 After all, the event was organized by William DeMeo, who plays Sammy “The Bull” Gravano in the film alongside Travolta. Instead of falling in line in front of the stage, I decided to go behind the stage. I wound up running into my aunt and uncle, also big fans… Let’s face it, my entire family is pretty much a fan. Being Italian/Irish–John’s heritage as well–and from the tri-state area, it’s easy to identify with him and his roles. Somehow by staying behind the stage, we found ourselves unwittingly in the VIP section! 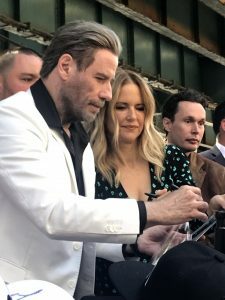 When John came out with his wife, Kelly Preston, who plays Victoria Gotti in the film, it was surreal to see them several feet away. 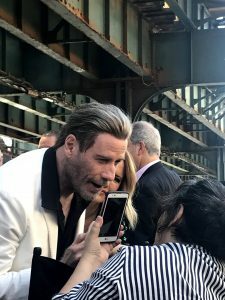 After speaking to the crowd and posing for the press, John turned his attention to the fans. He came into the crowd!! He blew kisses, waved, gave hugs, autographs, and photos. But somehow I was just far enough away that I couldn’t quite get to him. I was even right behind him at one point. While he was onstage, he did make eye contact with me but there were so many people, that his attention was divided, understandably so. After it was all over, and I was left to process the day, I wasn’t sad I didn’t get to “meet” the man who stole my heart at 4-years-old. 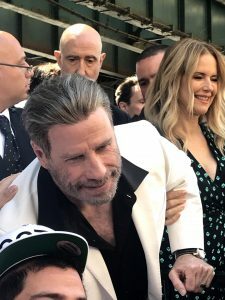 I’m glad I had my Travolta moment, even if it wasn’t some grand event between just the two of us. 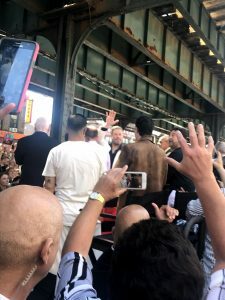 I simply was there on an iconic block in Brooklyn with hundreds of other people celebrating a legend just a few feet away. 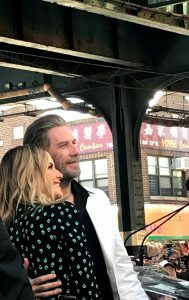 I was witness to Johnny’s humble gratitude for his career, his fans, the people he works with, and his beautiful wife who never left his side during the event. He has an air about him that’s genuine, and getting to see that in person was momentous in itself. Right there outside a pizza joint was the humanity I continuously search for in this life. 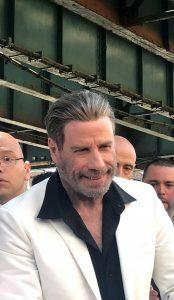 This has become John Travolta week, it seems. 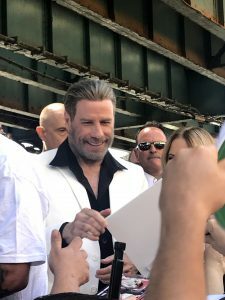 Friday, I plan to watch “Grease” drive-in style in Astoria Park and I will be seeing John in another iconic role this weekend in “Gotti” – in theaters 6/15! Not to mention that I found this playlist on Spotify dedicated to good ole Johnny T.! Share your favorite John Travolta movie or quote in the comments! All photos courtesy of Sandy Lo.